A sense of adventure is what first landed chef Jenn Louis in the kitchen. “I got a job working at the North Carolina Outward Bound School,” she says. She was the basecamp cook, which meant whipping up three made-from-scratch meals a day for crews that ranged from 6 to 50 people. “I had no prior cooking experience and it was the most creative, best job I’d ever had,” she says. This backcountry stint led her to chase her dreams at the Western Culinary Institute of Portland. Fast-forward years later to the kitchen at Lincoln Restaurant on North Williams Avenue, where Louis cooks some of Portland’s most crave-worthy pasta dishes. Think ribbons of fresh bucatini with octopus Bolognese and plump potato gnocchi with an earthy lamb ragù. She and her husband, David Welch, opened Lincoln Restaurant together in 2008. “He runs the dining room and I run the kitchen,” she says. 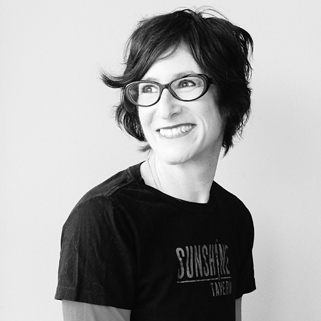 In 2011, Louis and her husband launched their second restaurant, Sunshine Tavern. Since then, she’s celebrated a slew of culinary successes. On the national stage, Louis garnered two nominations for the James Beard Award for Best Chef Northwest, was named Food & Wine’s “Best New Chef” for the Northwest region in 2012, and has appeared on Bravo’s Top Chef Masters. Most recently, Louis released her first cookbook, Pasta By Hand. 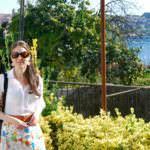 When she’s not in the kitchen, Louis feeds that early-seeded sense of adventure through travel. Close to home, her trail of choice winds along the evergreen-cloaked roads to Crater Lake National Park in Southern Oregon. Get set to follow her footsteps after a night at Hotel Eastlund, Portland’s newest boutique hotel. You’ll want to be camera-ready come morning to capture the countless postcard scenes en route to America’s deepest (and most mesmerizing) lake. At Lincoln Restaurant on North Williams Avenue, Jenn Louis cooks some of Portland’s most crave-worthy pasta dishes. “The beauty of Crater Lake is breathtaking,” says Louis. “The lake has such a vibrant, brilliant color, that when you view it for the first time, it’s like walking into another world.” Part mystery, and all wonder, the azure-blue water, craggy cliffs and swaths of evergreen trees enchant visitors from around the world. In the midst of snapping photos, you can hear countless languages drift through the crisp mountain air. Established in 1902, Crater Lake National Park is the fifth oldest national park in the United States and the only one in the state of Oregon. 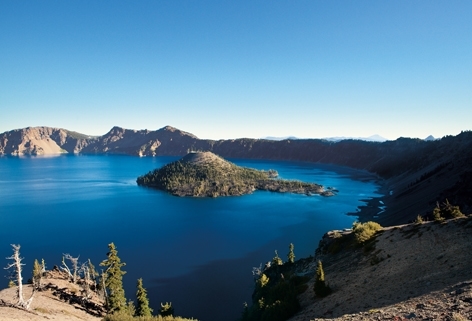 The lake even has a cheese named for it—Crater Lake Blue Cheese, which you can sample at Rogue Creamery, where Louis declares you’ll find some of the best cheeses in Oregon. “Rogue has pioneered the path for artisan cheese making in our state. Their blue cheeses are what they are famous for, and they continue to be creative in style and maintain a great quality,” she says. The long-standing creamery is part of Central Point’s newly coined “Artisan Corridor,” where you can sip the only chenin blanc made in the Rogue Valley at Ledger David Cellars, along with other estate varietals, like cabernet franc. 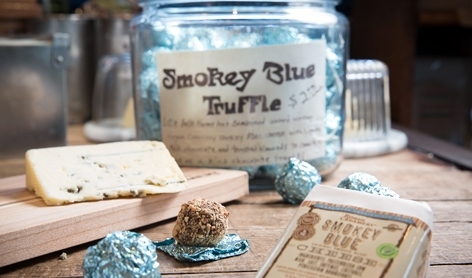 In the adjacent lilac-hued building, at Lillie Belle Farms Chocolates, you can savor rich caramels, bean-to-bar chocolate and smoky blue truffles. Save room for a late lunch at Jaspers Café, where locals have been dining since 1976. “This cafe in Medford makes great burgers featuring varied game meats, and also the great standard beef burger,” says Louis. The menu features over 40 creative riffs on the bun-meat-bun with proteins ranging from buffalo and elk to wild boar. Take a short detour here to visit the nearby gold rush town of Jacksonville, also a designated National Historic Landmark. It’s easy to linger on the storybook main street, peppered with century-old brick buildings that house boutiques, antique shops and wine tasting rooms. Plan to stay the night in Ashland, an idyllic mountain town, and home to Oregon’s Shakespeare Festival. You can soak up history at the artfully restored Peerless Hotel in the Historic Railroad and Gallery District, or go glamping at Willow Witt Ranch, a working farm at altitude. The ranch is off the grid, but fret not, amenities include a wood-fired hot tub. 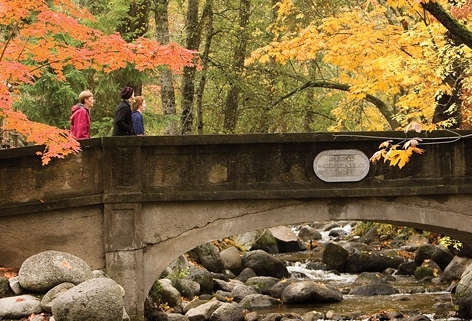 The next day, take advantage of Lithia Park with the perfect picnic. You can procure provisions at the community-owned Ashland Food Co-op. “This is always my stop when I’m in Ashland or passing through,” says Louis. “The foods are wholesome and so very tasty.” A sentiment that captures the spirit of Oregon, where simple pleasures, and ingredients shine. Pasta at Lincoln Restaurant by Justin Bailie; Crater Lake by Kurt Hettle; Lillie Belle truffles and Lithia Park by Jared Cruce.